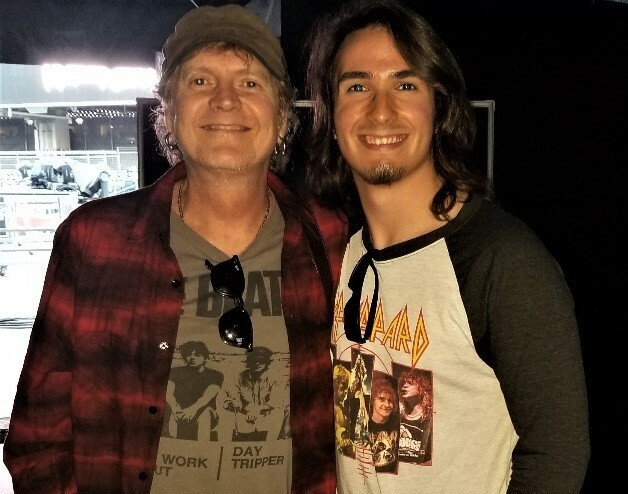 The Percussion Marketing Council’s (PMC) 2018 International Drum Month promotion concluded with the “Roadie for a Day” grand prize winner meeting drummer Rick Allen of Def Leppard at a San Diego concert. Contest winner Bradley Biggs from Anaheim, Calif., spent the day at Petco Stadium, meeting with Allen backstage and experiencing what it’s like to be a professional touring drummer. He was even able to experience a band sound-check and received all-access to Def Leppard’s concert. Biggs was one of more than 1,200 entries submitted online through the Percussion Marketing Council’s PlayDrums.com website. The PMC’s International Drum Month promotion reaches beyond the music industry through targeted social media marketing to create excitement for drums and drumming, while helping drive new drummer-customers to local music stores or drum shops during the month-long May campaign.